THERE is plenty of discussion about patent quality these days. 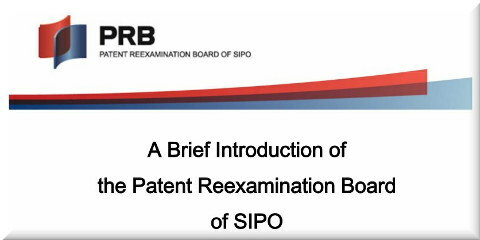 Earlier this month nearly a thousand patent examiners from the EPO complained that patent quality had declined. That’s a quarter of the total number of examiners; many of the rest were probably just too afraid to sign the petition (especially amid rumours of staff cuts). The EPO’s Boards of Appeal (BoA) are already under heavy attacks, so it will be hard for them to speak about quality without risk of rather ‘fatal’ retribution (they have already been sent to ‘exile’ and a colleague had his career destroyed). “SEP has come under strong scrutiny in Japan lately (much to the concern of the patent trolls’ lobby) and if the patent office gets it wrong on SEP, then destruction of innovation is assured.”Longtime readers of ours know we’re not against the system but rather pro-patent quality (i.e. reform). The system lost sight of its original purpose, especially in recent decades. A few years back China went down the same trajectory, in essence granting a lot of patents only a minuscule proportion of which was actually worth a damn (that’s the portion which gets translated from Mandarin and ‘exported’ to other continents in the form of patent applications). Earlier this year we wrote about how China had begun bullying Korean giants (notably Samsung and LG) using patents. This already repelled and drove out parts of LG. Samsung has stayed and fought back, even with some lawsuits (as we covered earlier this month). According to the patent trolls’ lobby (IAM), which wrote this paywalled post yesterday, SIPO (China, not Croatia) has just found a patent it had granted — only to be used by some troll/opportunist (IAM calls it “state-affiliated entity”) to harass Samsung — to be invalid. How many Chinese patents aren’t worth the paper they’re written on (and bytes/magnets they’re stored on)?